To answer the question you asked on my blog - Ink would be temporary, henna is made from a plant and creates a semi permanent image. The stain penetrates your skin and lasts for up to 6 weeks. they used to color hair with it. Wow..this is gorgeous, beautiful layout and coloring. I love this! I can actually hear a cardinal out the window right now.. it's a gorgeous fall day here. You also picked one of my favorite color combos.. I love barn red and mustard together. beautiful cardinal, great colors and coloring. Beautiful card! Your coloring is very impressive! 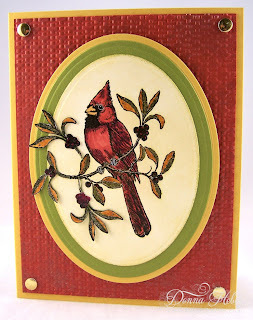 I like your matting to show off your cardinal, and the out of the box or cutting you did, beautiful card! 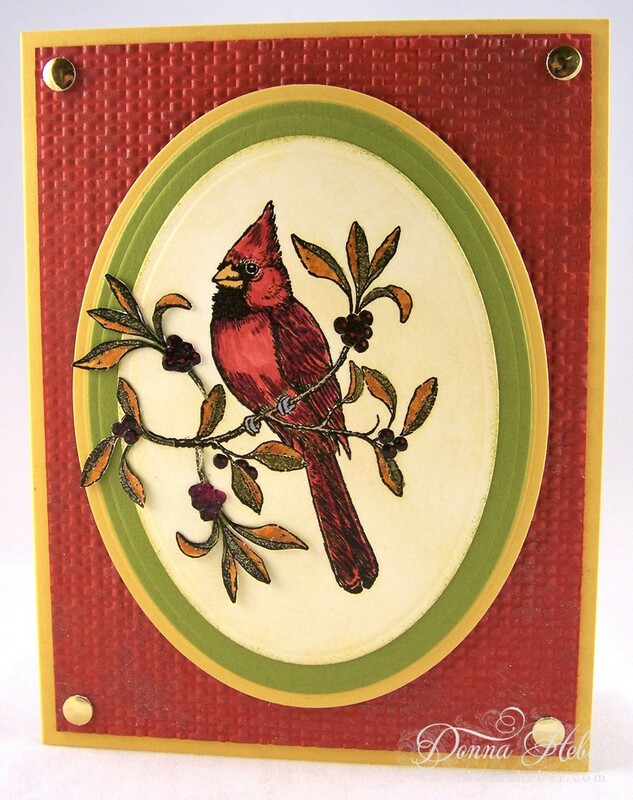 This card reminds me of the old fashioned portraits with the exception that it is in color. I love the texture and small details.